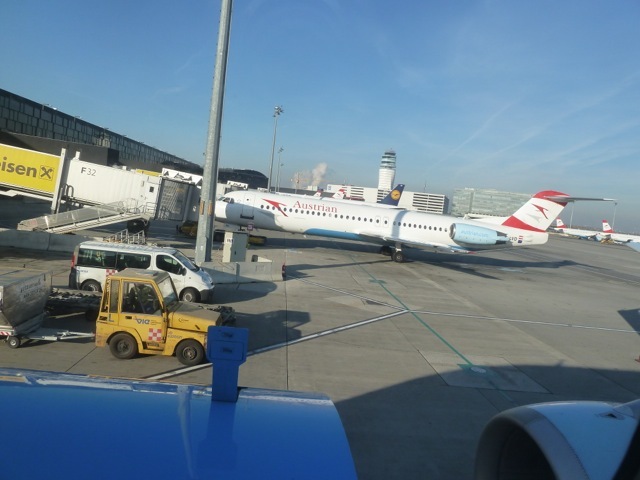 I’m standing in the new pier at Vienna airport, I have just arrived with Austrian Airlines from Zürich. 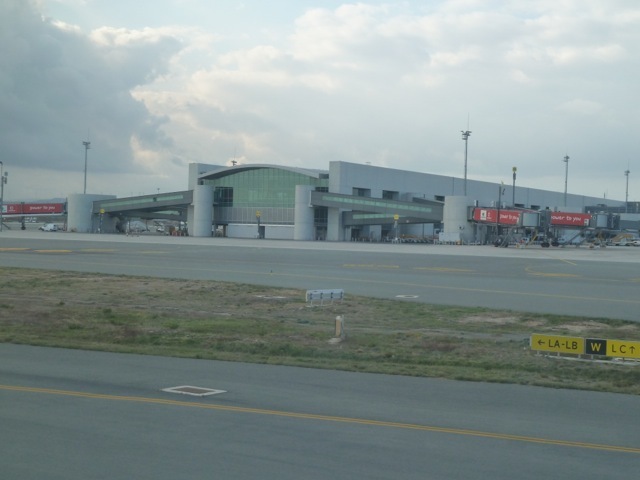 The facility has two separate departure levels for Schengen and non-Schengen flights. 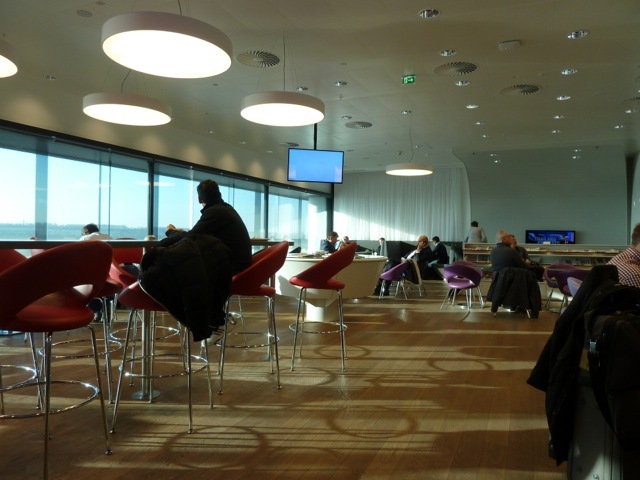 The F gates are for Schengen flights, with non-Schengen traffic departing from the G gates one floor up. Cyprus is a non-Schengen country. Strangely, on the outbound you will only have to go through Immigration and do not need to go through security again. On the inbound though, you need to go through immigration and security. 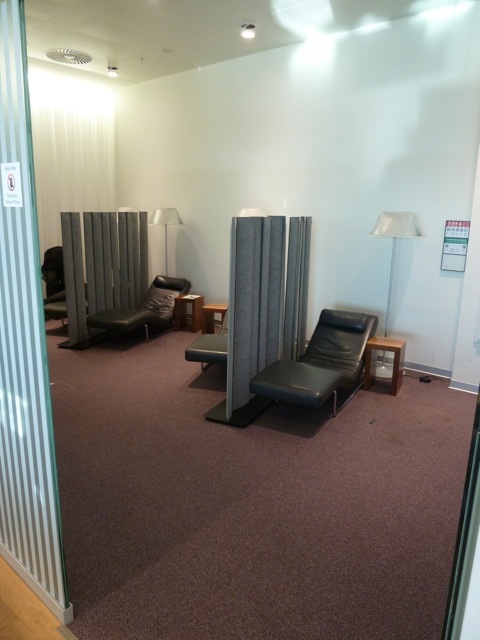 The non-Schengen lounge is located right behind immigration. It’s completely packed when I arrive, with only a few seats available here and there. 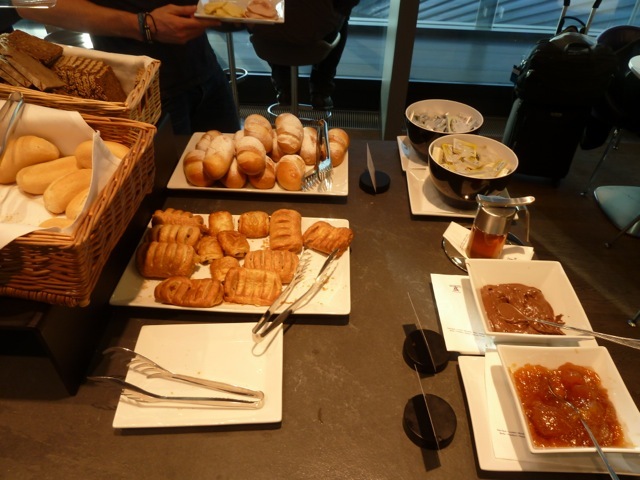 The food selection is not bad though and includes a variety of pastries, bread, cheese and ham, as well as a small selection of hot items. I think I’ve been travelling a bit too much of late. 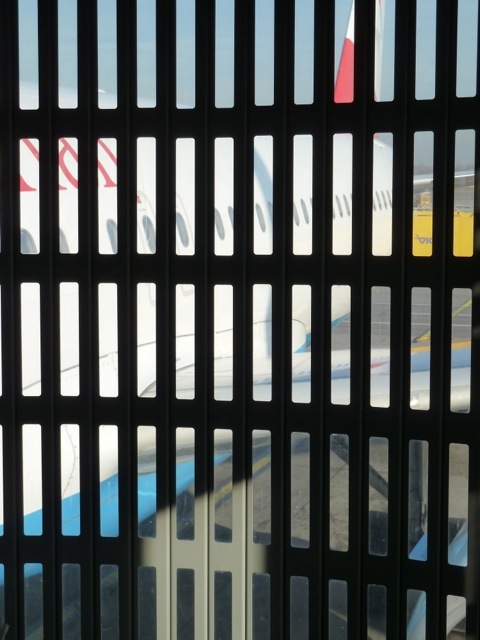 I look up at the departure screen to check the gate and status of my flight – and draw a blank: I’ve actually completely forgotten where I’m supposed to be flying too! I truly haven’t got the faintest idea anymore. Fortunately I’m not on my own and my colleague, the valiant Martin, has everything under control so I just plod along behind him when the time comes to leave. The flight is completely full today, which comes as a bit of a surprise to me, as I figured nobody would be flying to the Med this time of the year. Still more surprising is the fact that Business Class is full too, with all twenty seats occupied. As with the previous flight, there is more Strauss blaring away as I step on board. Seating is in a three-three configuration, with the middle seat left empty. Apart from that though, I really must say these seats are a real agony on longer journeys. Ninety minutes into the flight I can no longer feel my buttocks. They’ve gone to sleep. I didn’t even know they could do that. 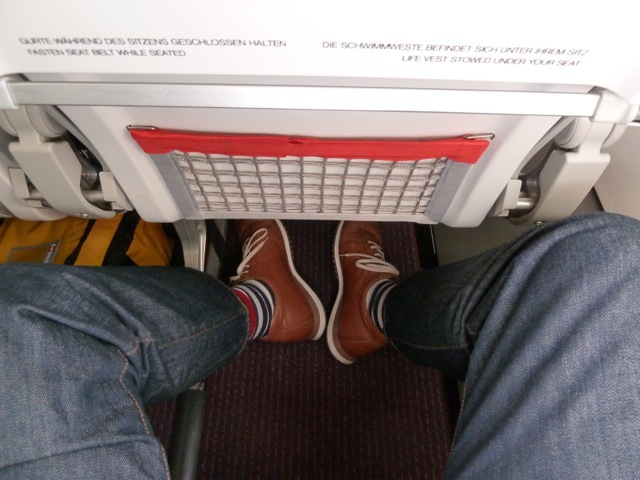 The leg space is good though. The crew on this flight are as nondescript as their colleagues on the previous flight from Zürich. They’re not rude, unfriendly or anything. 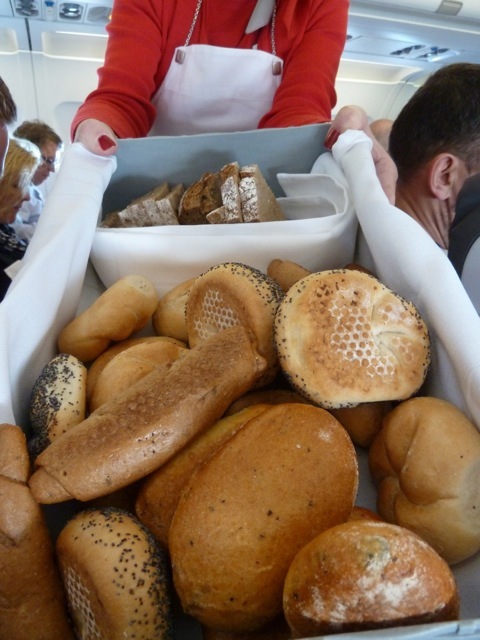 They just seem rather bland. The service on this flight has been reduced to the absolute minimum. 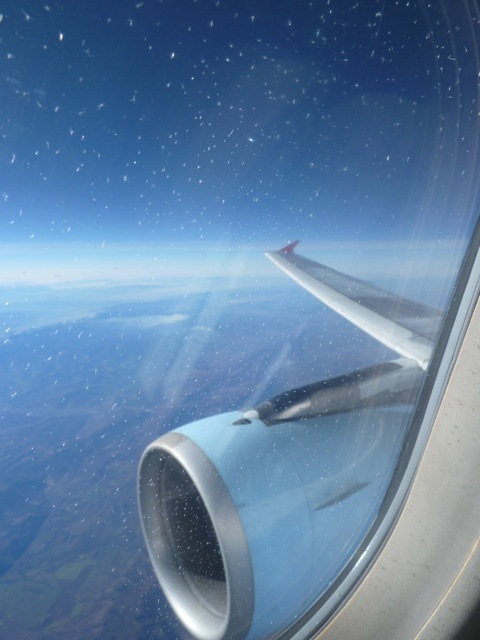 Despite a flying time of three hours and more than enough time for a leisurely service, there are no hot towels and no aperitifs. It’s really just the tray with the meal and that’s it. The service is also pretty rushed. 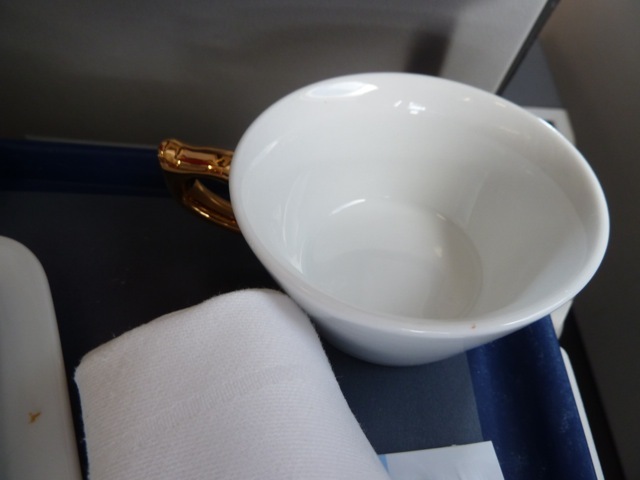 Most people still haven’t finished their hot meal when the flight attendant comes through the cabin offering tea or coffee. What’s the hurry anyway? 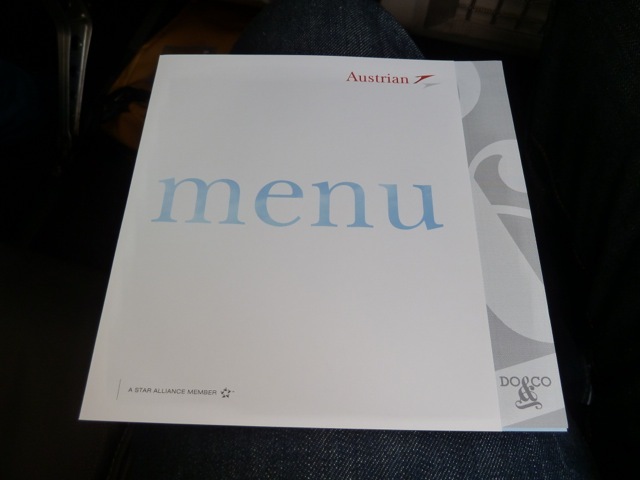 On the other hand, Austrian Airlines must be one of the few airlines left that still provide menus on European flights, which are distributed before departure. 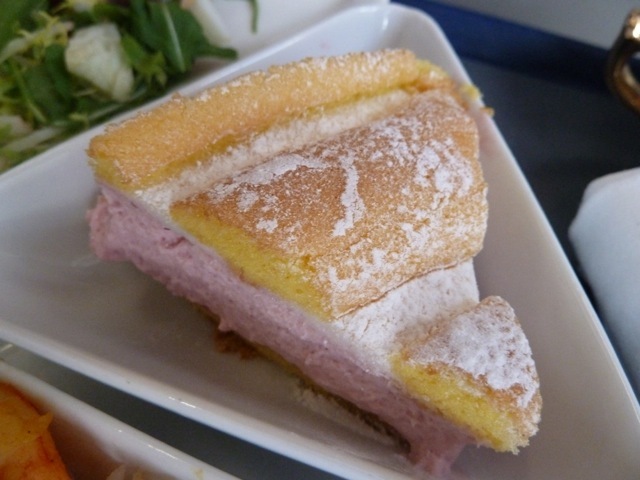 Admittedly, the food is rather good – with the exception of dessert perhaps. 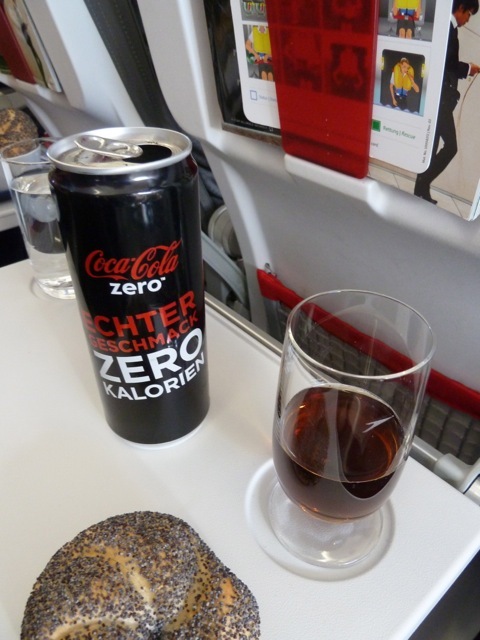 To drink I just have a Coke Zero. Our routing takes us over some lovely landscapes. Fortunately the weather is quite good for most of the journey, with good views to be had along the route. 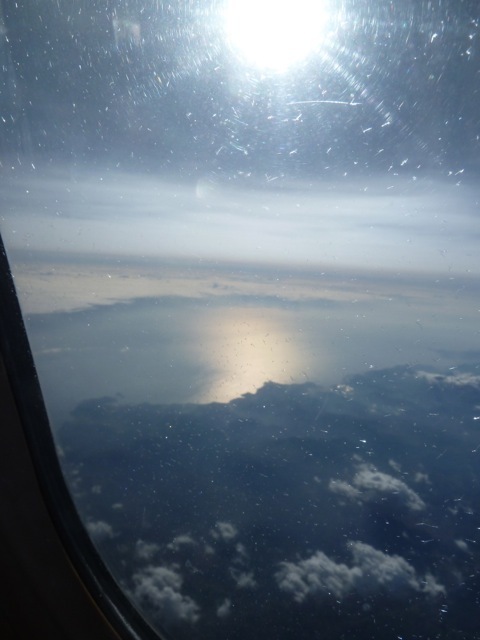 Shortly after we leave the Turkish mainland, somewhere near Antalya, we begin our descent into Larnaca. It’s quite a steep descent. 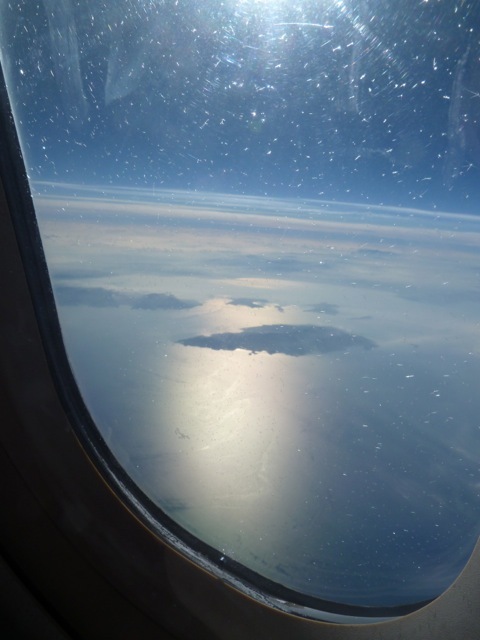 We come in over the eastern tip of the island and then fly along the coast before eventually touching down. 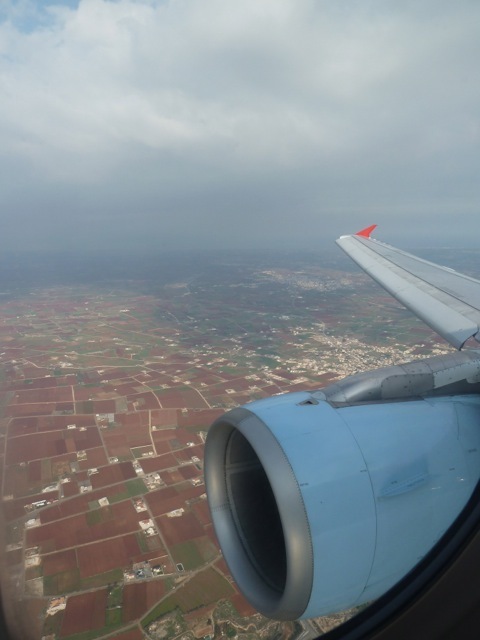 In Cyprus I will be staying in Nicosia, which is about 60 kilometres away from the airport. I’m staying at the Hilton Cyprus, which may not be the newest hotel out there but is very well maintained and managed. If you’re interested, the hotel also has rather good gym facilities. 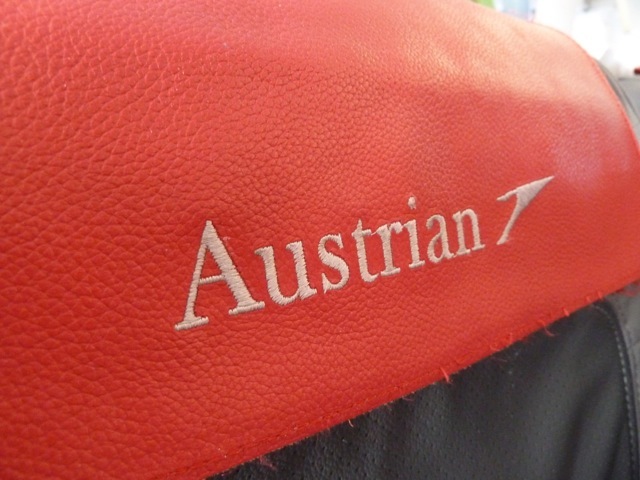 Austrian Airlines was a bit of a let down. 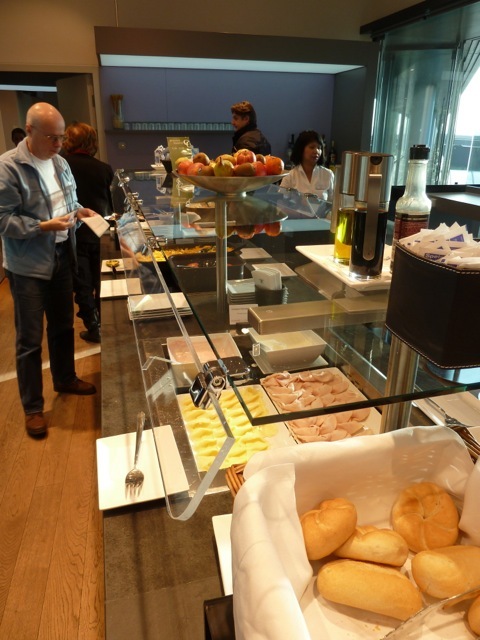 On this trip I had the opportunity to sample both their Economy and Business Class products. They got me there and back safely, so thanks for that. But apart from that I really don’t think the flights were anything special. 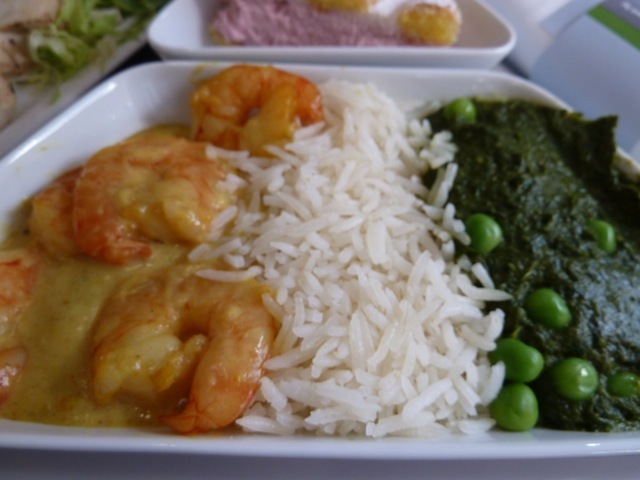 Admittedly the quality of the food was not bad, but apart from that the service was unnecessarily rushed and hurried and pretty uninspired. I also think they haven’t quite got their priorities straight. I mean, the menus really aren’t necessary. However, an additional drink run before the meal is. Dehydration on long flights is a proven fact. 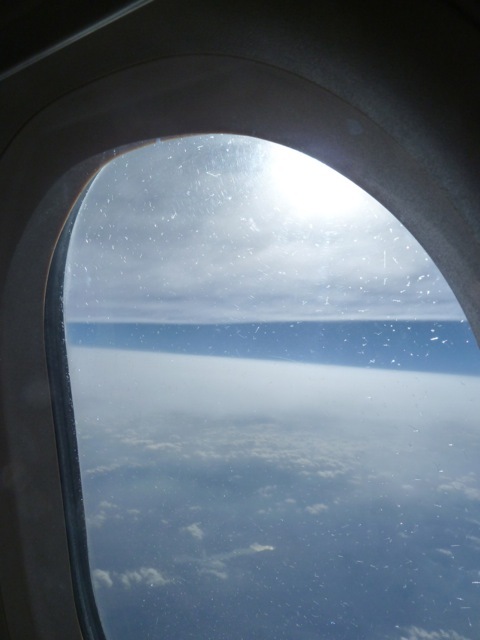 And indeed, the one thing that really struck me about this flight is that the passengers were constantly summoning the cabin crew to ask for drinks. So what about Cyprus? Obviously, I didn’t really get to see that much of the islands. 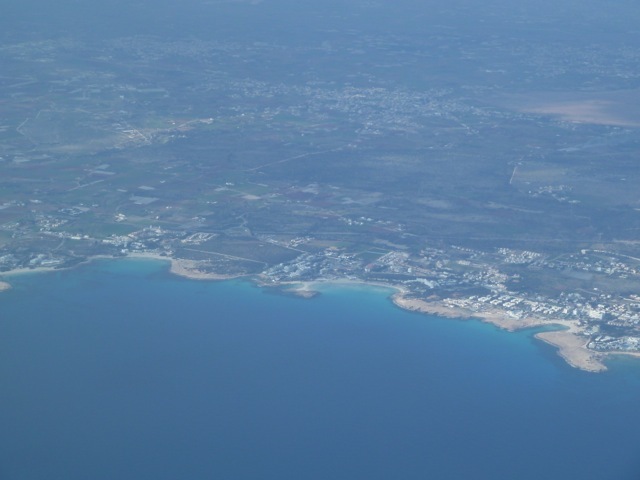 And save for a very long detour for a very short visit to the coast at Agia Napa on the way to the airport, I spent most of my time in Nicosia and the training centre. Nonetheless, I must say I really liked Cyprus. Moreover, I really liked the Cypriots. All the people we met were just so friendly, genuinely warm and welcoming. It’s also a great place to visit if you like good food in huge portions. 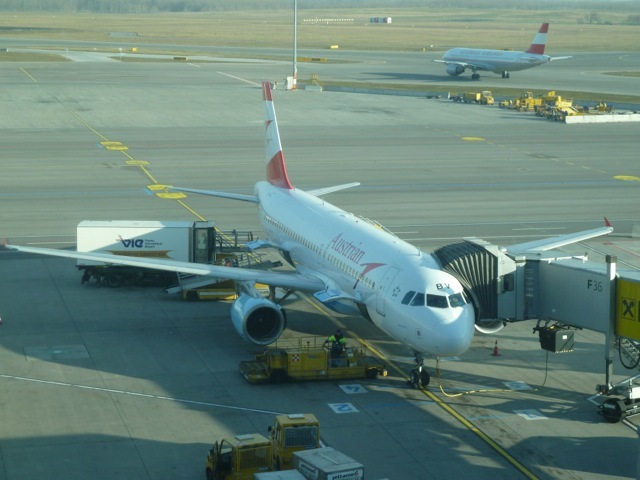 This entry was posted in Airbus A 320, Austrian Airlines, Business Class and tagged airlines, aviation, Business Class, business class passengers, business class seat, departure gates, economy seat, flying, transportation, travel, vacation, zurich airport. Bookmark the permalink. 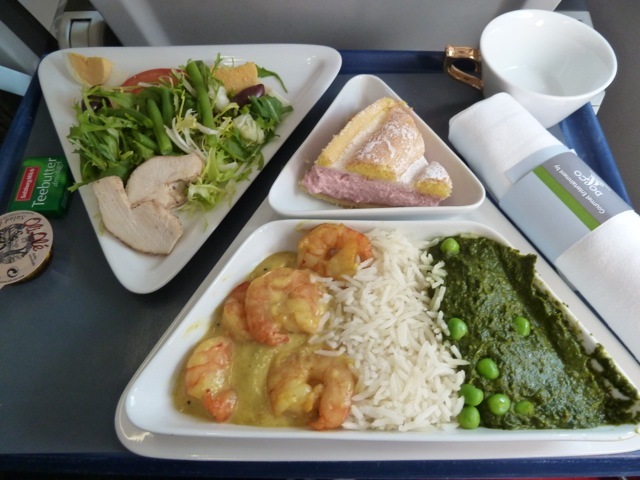 I’m surprised to see that you did get a menu – Between VIE and AMS or VIE and ATH this is definitely not the case (I flew them a few times last year). 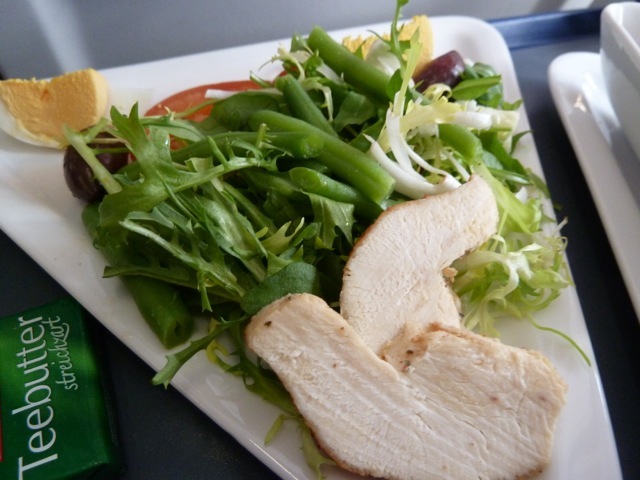 I once found a menu in the seat pocket and the FA took it from me asking me where I got it from, it should not have been there, it must have not been taken away by the cleaning crew from a previous flight to TLV! Thanks for taking the time to comment. Strangely enough we got a menu on the outbound leg, but not on the inbound. 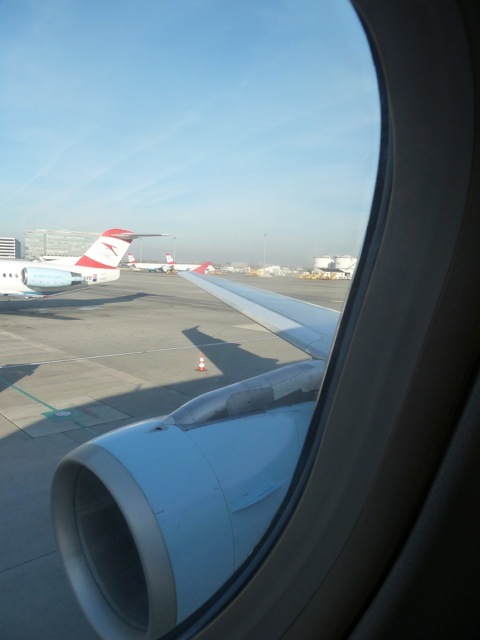 The whole experience was full of inconsistencies for me, and I suspect that’s probably normal with Austrian Airlines. Not an experience to be repeated.